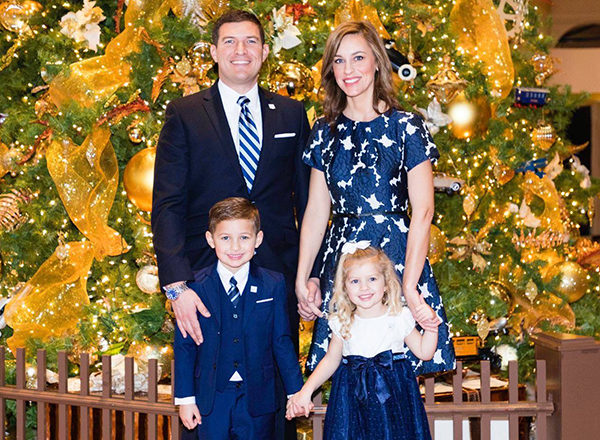 Photo: the Kavalhuna family, 2018. The six months since I arrived at HFC have been the best kind of adventure. I came to Henry Ford College in July with high expectations of joining you as a teammate, and with hopes of helping you in our mission of student success. 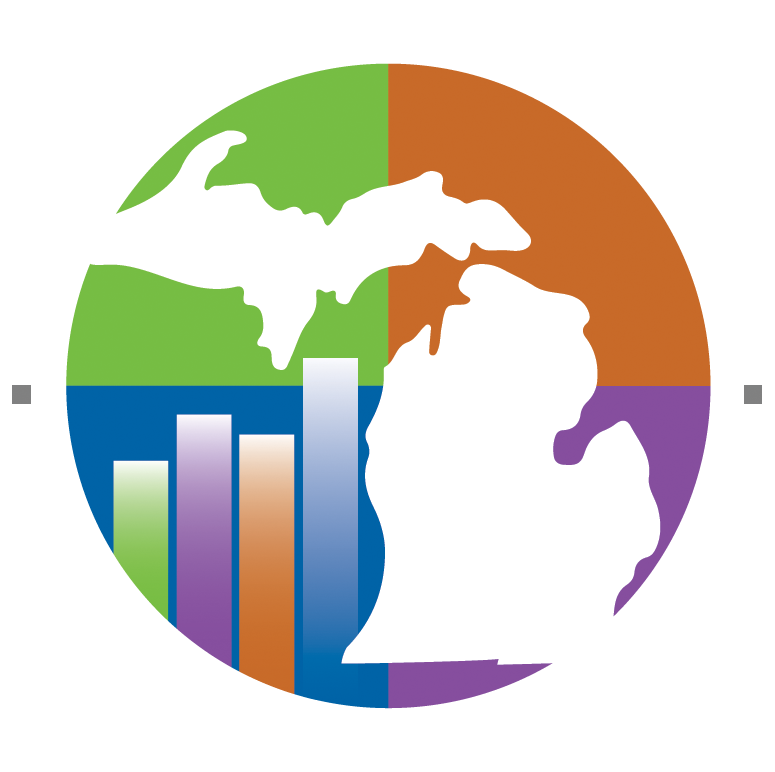 I have met hundreds of students, faculty, staff, partners, and neighbors. I’ve been to countless events, meetings, and performances that show the many sides of who we are. I have listened. You have taught me about our College. Thank you for that, and for your warmth and generosity. No leader of this College could be effective without a great team of colleagues who not only work hard, but who put their heart and soul into this work—as our faculty and staff do every day. And you students—thank you for the honor of choosing our College. We are proud to teach and serve you. We will continue to work with you for your best future. And thank you for saying hello to me on campus (and for accepting chocolates to express “Proud to be HFC!”). You are the reason for everything we do. 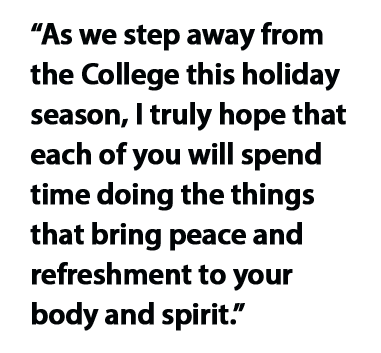 As we step away from the College this holiday season, I truly hope that each of you will spend time doing the things that bring peace and refreshment to your body and spirit. Courtney and I wish you joy and fulfillment. In 2019, we look forward to seeing even more of the heart and soul of Henry Ford College, which puts students first by focusing on their success, today and tomorrow. Have a wonderful holiday season! I look forward to seeing all of you on campus in January.